I’ve been thinking about making another one of these so I pulled up my old tutorial. It needed some updating. 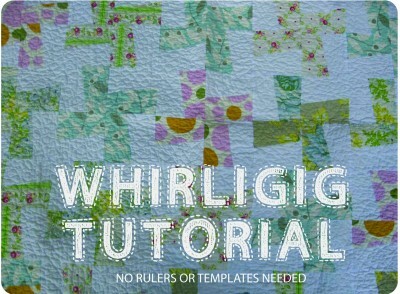 The Whirligig (wonky windmill, whatever you want to call it) was the 2nd quilt I made. If you’ve never made one, they come together pretty quickly. I’m think about using a combination of bright fabrics and low volume instead of prints and a solid. We’ll see… I always have so much on my ‘want to do’ list!